Harrison Smith offers an obituary of a former KGB spymaster in the Washington Post. They were known as the illegals, men and women who adopted the identities of the dead, worked as priests, poets, actors and inventors, and quietly gathered intelligence for the Soviet Union during the long years of the Cold War. Based in nondescript American suburbs and bustling European capitals, they spent up to two decades developing the trust of their neighbors and employers while stealing secret information about nuclear weapons, missile systems, Western intelligence efforts and political intrigue. 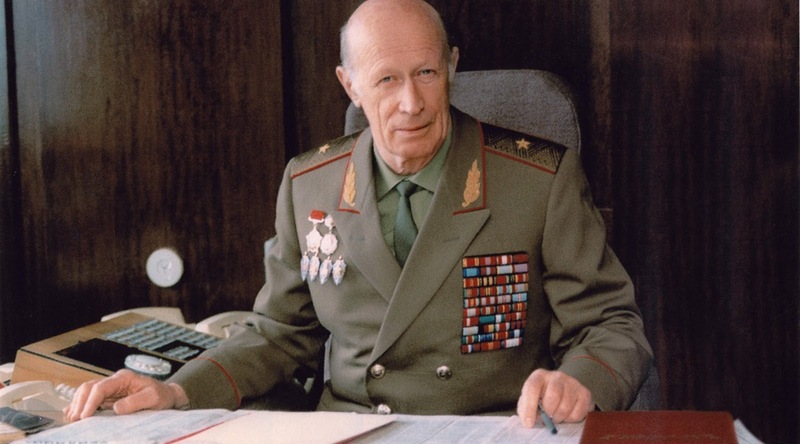 At the helm of their organization, a secretive wing of the KGB known as Directorate S, was a balding man with the rank of major general and the name of Yuri Drozdov (seen in the above photo). A square-jawed World War II veteran who led assaults in Afghanistan and helped arrange a high-profile spy exchange in 1960s Berlin, he died June 21 at 91. The Foreign Intelligence Service, a KGB successor agency known as the SVR, announced his death but did not provide additional details.